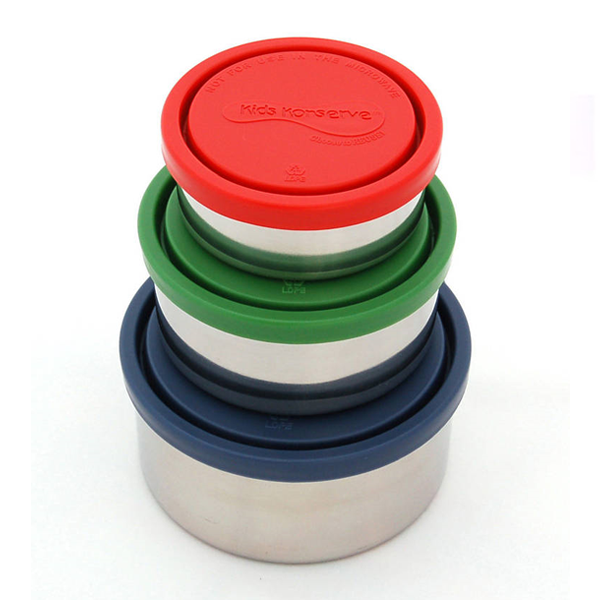 Kids Konserve Nesting Trio is a super versatile set of 3 high quality stainless steel containers with colourful leak-proof lids. 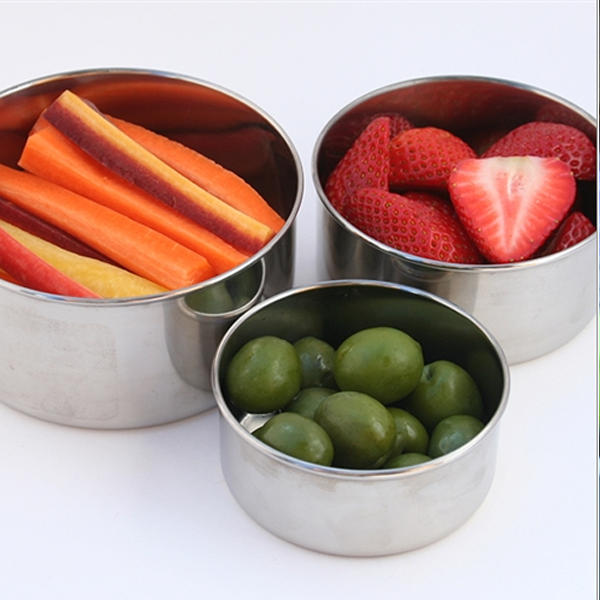 These smart, re-useable stainless steel containers are perfect for packing yogurt, fruit salad, pasta salad, pretzels, hummus, nuts, fruit and lots more! Popular for school lunchboxes and snacks in the car, they are also useful for work lunches and storing leftovers in the fridge. Once you are finished using them, they stack away neatly inside each other for compact storage. Truly leak-proof, way lighter than a glass container, and a great size. Fantastic for storing foods like hummus and perfect to grab and go for a packed lunch . My 10 years old son loves them.